The Vortex Festival is an outdoor psychedelic music festival that takes place twice a year, once in December and the other one in April, where you get transported into a parallel universe that will bring you to a psychedelic adventure through the help of art, music, and nature allowing yourself to experience a one of a kind journey. This is where a lot of electro-enthusiasts and environmental activists go together in order to reconnect with nature. The event coordinators have been organizing this festival for more than two decades now. They’re driven in organizing an unforgettable and dazzling trance festival, a five-day trance festival where art and dance are fused together in harmony to allow the body, environment, and soul to become one through a colorful celebration of psychedelic culture through music. Everyone is invited on a journey to a psychedelic paradise filled with colors, music, and magic, traversing into a paradigm of boundless, connectedness, and limitless experience. Having DJs all over the world play on the central stage to a crowd that truly appreciates trance music is the main highlight of the festival as they dance and let loose to the music through their bodies while allowing their minds to unwind and to let themselves be one with nature as they feel the vibration of their feet on the ground. Trance music isn’t the only thing the Vortex Festival has to offer, they also show off different varieties of artistic representations that will have your eyes to feast on as you dance the day and night away. Being one with nature through art and music is being promoted through this festival as you breathe in fresh air that cleanses your soul as the wonderful journey of your rebirth continues with nature. The event coordinators will provide clean running water; toilets and showers for your convenience. Beverage and food stalls will also be stationed along the vicinity to satisfy any thirsty throats and starving stomachs. However, bringing your own food is also highly encouraged. The campsite: The Circle of Dreams is where the event will be held, showcasing the natural beauty of its surroundings allowing visitors to appreciate the stunning mountain vistas being the ideal location to allow your mind and spirit to be at ease and be with nature. Being open all year round, visitors are allowed and highly encouraged to pitch a tent before the event begins until the night starts where the guests can stay under the starry night sky to appreciate the beauty of nature while sitting along the campfire. Having the campsite big enough for everyone, it is highly advised to be cautious of your trash to keep the campsite clean. 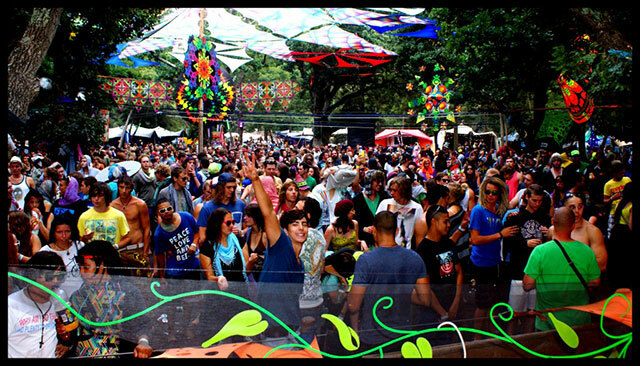 The main vision for this festival is to allow people to let their spirits be free as they allow their mind to unwind through a harmony-infused psychedelic music as you move along the crowd that appreciates the same music as you do, heightening up the feeling of being free as you let your body dance in synch to the music on the dance floor. Having the festival for five days, tickets are available in different packages, where visitors may purchase the five-day ticket passes, weekend passes, or just a day pass but will only be available depending on the capacity of how much people can be allowed due to safety concerns. They also offer a premium package that allows you to party in style with the Fish Eagle tent that can accommodate two people. It is fully equipped with camping necessities, complete with clean toilets and showers, a 24-hours security, a lounge area, a charging station, and parking area. A Vortex bus is also available for booking to bring guests to the location of the festival and will also bring them back once it’s over. A couple of guidelines that must be followed: It is strictly prohibited to bring domestic pets, fires, fireworks, glass, graffiti, illegal drugs, personal sound system, and weapons. Minors are not allowed to attend the festival. Identifications will be checked upon arrival and those who fail to comply will be asked to leave. Ensuring the safety of the event, the event coordinators will not be held responsible for any negative behavior, death, injury, or loss of belongings.